As a club affiliated with Triathlon Ireland Predator Triathlon Club follows the guidelines and procedures that Triathlon Ireland have put in place for the Safeguarding of Children participating in the sport of triathlon. 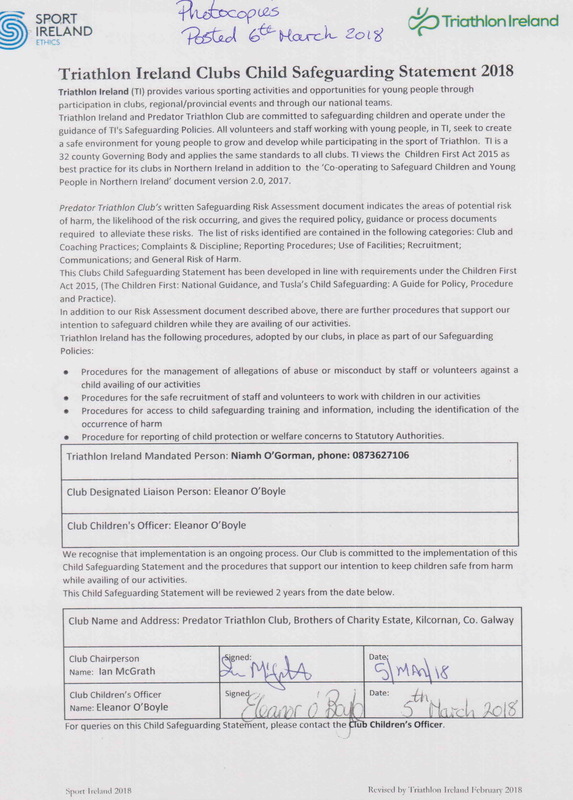 Safeguarding for children is the first priority for Triathlon Ireland and Predator Triathlon Club. It is a crucial function in providing fun safe and fair opportunities for all who participate in triathlon and ensuring the safeguarding of children participating in the sport. Thanks to John O'Connor for the use of his photographs.